Multiport Gauge Valve, offered by us, facilitates different positioning of Pressure gauge or Pressure switch without disturbing the main line. The blind plug and the vent plug are supplied along with our Multiport Gauge Valve. 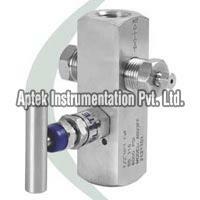 Multiport Gauge Valve that we offer is demanded throughout for its excellent strength and durability. 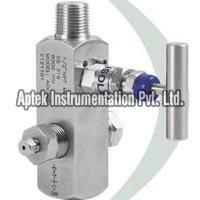 We can provide excellent Multiport Gauge Valve at competitive rates.